DJ’ing is not quite like it used to be. Today there are digital turntables that use MP3s and other forms of music instead of traditional vinyl records. Many DJs who have been on the scene for the past few decades will tell you that there is nothing like feeling the vinyl on your fingertips as you remix the track that is playing. For a purist, scratching and mixing by ear is essential, so to get to the bottom of which is best, I decided to look into the turntables on the market and compare the new with the old. After much consideration, I found the Audio-Technica AT-LP120-USB Direct-Drive Professional Turntable to be the best option for a DJ who is looking for a new turntable. 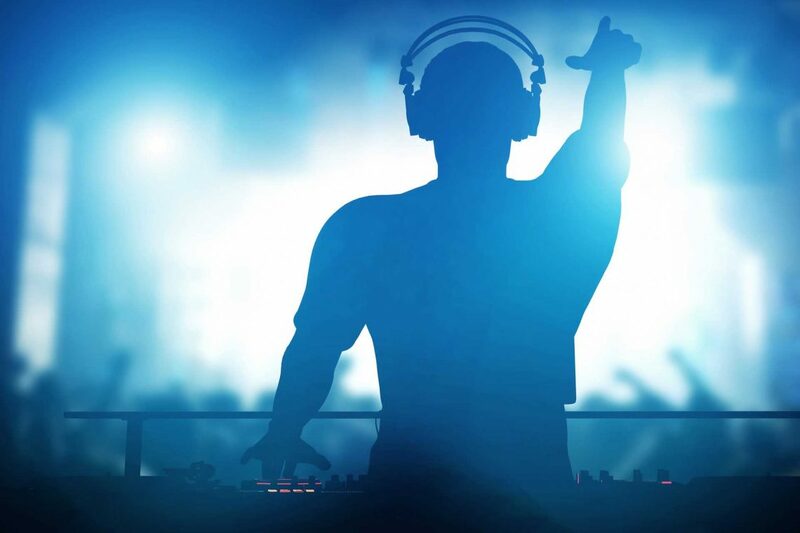 I am not DJ’ing professionally myself, so why should you trust my opinion? Well, I have years of experience with turntables because my brother is a DJ, the quality of his equipment is crucial to him. I sat down with him and some other DJs that he knows to find out how they felt about turntables, and it turns out that the majority of them are purists who prefer a traditional turntable like the one I selected as our recommended product. Since my top pick may not suit your needs, I have also included a few other products for you to consider. Before we spin into the reviews, let’s take a look at some of the things that you will want to consider before purchasing a new turntable. Since we live in a digital world, a lot of the things that used to be common for a DJ to use are becoming less common. Newer DJs tend to prefer controllers, while purists typically prefer turntables, but what is the difference? Controllers – This is a digital option that you can use in combination with MP3s and software to mix the beats. With this method, you don’t have to scratch or remix the music on the spot, but you will have a more extensive library of songs where you can choose your music. Turntables – This is the more hands-on approach. It requires a bit of practice to be able to remix the tracks so that they sound good. The tempo and the pitch need to match the music, and scratching the vinyl at the wrong time can throw off the beat of the music. That being said, with practice, this is the most natural sounding option that a DJ can choose for their music. Ultimately, whether you decide to go with a controller or a turntable is up to you, but since this guide is discussing turntables, we are only going to be reviewing and considering products that fall into this category. When you start your search for a new turntable, you are going to need to consider two different types before you decide which one is best for your needs. Both have their advantages and disadvantages, so the one that you ultimately choose is going to boil down to your preference. Let’s break each option down to help make the decision easier to make. Belt Drive – With this type of device, the turntable platter spins because there is an electric motor that is connected to the motor that makes it spin. The belt is designed to absorb the shock from the motor and prevent vibrations from transferring to the platter and the tonearm. Because this type of turntable dampens the noise, those that use a belt drive often produce a more pure sound. Unfortunately, the belt will not last forever, so it will occasionally need to be replaced from time to time. Fortunately, the belt does not cost too much to replace. Direct Drive – With a direct drive, the turntable platter is connected to the motor directly, which causes it to spin when the device is powered on. This allows the turntable to playback the music at higher, more accurate speeds. The most notable downside is that sometimes vibrations can get through and affect the sound quality of the music that you are playing, so you may need to work with shock absorbers to prevent this. How much hands-on DJ’ing do you want to do with your new turntable? If you’re going to do everything manually when you DJ, then you can choose a manual setup that will require you to place the tonearm on the vinyl where you want the music to start playing. You will also need to turn on the device manually for the music to play. An automatic setup is designed to make it easier to manage where the tonearm goes on the vinyl. You don’t need to be aware of the exact location of the song if the turntable is capable of positioning the tonearm for you. With this method, you will only need to press a button to play the record. Where are you going to be DJ’ing with your new turntable? If you plan on a small venue or merely using the turntable to sample your music, then you may only need one turntable to use. However, many DJs who perform live prefer having two turntables or more so that they can mix and mash their music with ease. If you only plan on purchasing one turntable, you may wish to consider an option that is expandable so that you have options in the future. Moving Magnet Cartridge – This is the most common option for many DJs to select. It is the cheaper option, but it is a bit harder to make subtle changes in the music with this type of cartridge. With this cartridge, there is a magnet at each end of the stylus, which changes their location as the stylus moves. Moving Coil Cartridge – With this type of cartridge, there are two coils in the same location where the two magnets would be positioned. These coils weigh much less, which can increase the sound and decrease any distortion that may otherwise be heard. This is the more expensive option, but it will be worth the additional expense if you have the budget for it. If you do select this type of cartridge, then you will also need to consider the type of needle as well. You can choose between elliptical and spherical, but if you are looking for a better sound with less of a chance of the music skipping, you will most likely prefer a spherical needle in your turntable. Once you know what kind of cartridge you want in your turntable, you are going to need to decide whether you want a tonearm that is straight or S-shaped. Straight models are designed to produce better tracking, but if you want better sound, you may prefer a tonearm that is curved. Regardless of the shape of your tonearm, you want one that is going to be relatively stiff so that it does not bounce and skip from the vibrations of the motor, but it also needs to be lightweight so that you can move it quickly when you need to. Many DJs prefer a carbon fiber tonearm or one crafted from aluminum because of its durable nature. This is a feature that is going to be needed for any turntable that you purchase so that it can amplify the signal that the needle makes as it spins on the vinyl. You can get a turntable with a built-in phono preamp, which will save you money in the long run. This option is also much easier to manage when you travel to DJ because it will not require any setup on your part. This is an option that many beginners choose for their DJ setup, but professionals often will consider an external preamp that can be added to the system. This type of configuration is going to be able to amplify the volume more so that it can easily be heard. With this being said, you will be able to notice that the sound quality when you use an external preamp will be better than when you use a built-in model, so if your budget allows for an external option, you should consider it. How are you going to play your music? Of course, you are going to be using vinyl, but is there going to be other forms of connectivity that you need for your speakers, for a microphone, or any other equipment that may need to be connected to your turntable? I would recommend considering both an RCA and a USB connection so that you have options. Turntables of the future may not have RCA options, while older equipment that you use may still require this type of connection. Finding a turntable that is versatile will help you and your gear stand the test of time when it comes to DJ technology. In my opinion, one of the coolest features of the Audio-Technica AT-LP120 is the fact that this turntable makes it an absolute cinch to convert your vinyl records into a digital format. To do this, you use the turntable to play back your tunes and use the USB port for the digitalization process. I have my fair share of vinyls that I have bought over the years; in fact, I still purchase new ones but having this option increases the value of our recommended product. 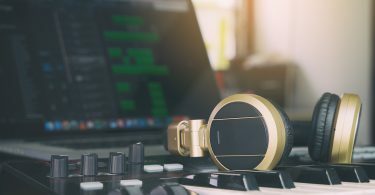 This is also a great way to open up your music catalog because you can add backing tracks from your vinyls or craft your own unique and modern remixes to your classics. On top of this useful feature, the Audio-Technica AT-LP120 also is well-priced for those on a budget; you won’t have to spend a chunk of cash for a high-quality turntable like this one, and when you’re ready to DJ and remix, this is a device that will provide you with results. The device uses a direct drive, which means that you might not get as much of a reduced motor noise experience that you’d get out of a belt-driven product, but this is a product that could work out fine in just about any audio environment. Robustness is critical when you’re a DJ; the setup process for a gig can be rigorous, and a flimsy turntable can be damaged quickly, which is why the LP120 is a great option. In act, this is one of the most sturdily built options that I encountered during my research. The device is made almost entirely of metal, and it weighs about 24 pounds, which indicated a stronger build. The product rests on four plastic yet sturdy feet, and it has a stable design that dampens the excess vibrations that can happen when you’re spinning. The platter itself is designed to be lightweight. Audio Technical accomplished this by utilizing aluminum, which is a metal that is known for its lightweight yet durable properties. 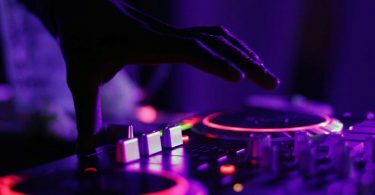 As a result, you’ll be able to spin at 33 1/3, 45, and 76 RPM, which means that you’ll have some options during your DJ gigs. In the box, you’ll find a USB cable that has a decent length, Audacity software for your computer, and line-level RCA cables. The AT95E cartridge, which Audio-Technica has packed in with the AT-LP120, is widely considered one of the best cartridges on the market, so its inclusion is a significant plus when purchasing this product. Finally, I loved the aesthetic design on this product; it has a simplistic look that really belies the complex and useful features that are under the hood. There’s an ongoing argument amongst audiophiles about which is better, direct or belt drive, and while I won’t chime in on which I think is best, I do believe that the sound quality produced by both this Stanton product and our recommended product is very impressive. As you may have guessed, this is a direct drive product like the Audio-Technica turntable, and with its USB and S/PDIF functionality and similar price point, this is a strong competitor for our recommended product. The turntable includes a software suite that makes this transfer as simplistic and easy as possible, which is quite useful when you need to transfer analog-recorded music to digital formats. The product also includes a pitch adjuster as well as a pitch lock so that you can alter the sound of the turntable’s output. There is even an anti-skating mechanism that prevents the needle from jumping across the surface of the vinyl that you are playing. When it comes to top-end sound quality, this product can be well-suited for the DJ crowd. However, if you’re looking for a real audiophile performance, then this might not be the best product because it has something of a middling-level sound performance. This is potentially due to the drive system, and but most will not be able to tell much of a difference in the sound quality. During my listening sessions, I thought that my vinyls sounded fine, especially when listening to some of my more recent vinyl records. Also, Stanton packed in a 300.v3 cartridge that provides a relatively solid performance during playback. When you’re using the included converter software, you can use the iZotope Audio Cleanup and Enhancement software to ensure that any of the “fuzz” that can come through a speaker system when playing a vinyl record is cleaned up. This software works post-conversion, and I found it to be very effective for bringing the music up to digital standards. Finally, the aesthetic design of this product is very effective for a DJ; the Stanton logo appears prominently, and the black and silver-metallic design of the turntable would look great on a DJ table. This is also a very durable turntable; it felt well-built during my tests, and it’s weighty and well-balanced enough to operate through years of spinning. Another Audio-Technica product, this turntable works almost like the little brother of the Audio-Technica AT-LP120. In fact, this is an excellent entry-level turntable for those DJs that are just getting their feet wet in the music world. Also, the AT-LP60 has a price point that is very friendly to those that want to learn the ins and outs of being a DJ – feel free to scratch, blend, and mix with this very affordable device. Despite the almost bargain basement pricing, the product has its share of quality features like a built-in phono amplifier, Bluetooth compatibility, and even spins records using a belt drive, which is considered an audiophiles dream because of the lack of motor noise during playback. It’s important to note that belt drive is definitely not something you’d like to use if you’re going to be back-cuing or if you’re in need of a turntable that has a fast startup. That being said, this product has a fully automatic operation, and it has a very simplistic control scheme, which is very useful for a beginner. I also found the stylus on this product to perform well on my test spins, and Audio-Technica states that this product has a signal to noise ration of >50 dB. At first glance, you’ll notice that this is one beautiful-looking turntable; it has the option of coming in three tones: black, natural, and red. Each of these has some value for a DJ looking to have a professional-looking kit, and they are just lovely to look at in my opinion. This is a belt-driven system, which means that this could be the go-to product for a DJ that’s playing for a discerning crowd of audiophiles. Like the first two products that I covered, this product has USB digital output, which means that it can be used to transfer some of your old vinyl records to digital formats. Not only does the TN-300 come with a connector for phono inputs, but it also includes a line-in for stereo inputs as well. The cartridge on this product is an Audio-Technica AT95E, which as I mentioned before, is one of the best on the market, so you can expect some top-tier sound quality out of this product. This Teac product is also very straightforward to use; there’s an on/off switch on top of the deck that’s easy to access, and the cue lever on the product is also very easy to use. In addition, this turntable has a very rich tone and feel when you are DJ’ing. When you’re ready to switch to 45s, it’s a simple process: just flip the RPM switch, which is positioned very close to the on/off switch. One of my only gripes with this is that it can sometimes hum a bit during playback, but with this small foible taken into account, this is still a great DJ turntable. This is a beautiful turntable. It has a base platform that’s constructed of dark wood. It has knobs and dials for starting/stopping and choosing the type of record. Each of these dials is reminiscent of the knobs and dials that you’d find on an electric guitar. I also loved the BT500‘s mechanized design of the playback arm as well. When it comes to standard operation, this is a good DJ’ing product because it has an anti-resonance aluminum platter and also uses a belt drive system that produces less noise during playback. The feet on the product are also adjustable so that you can get the height setting that’s most comfortable for your DJ’ing sessions. This product also stands out because it has built-in Bluetooth streaming, which can be very useful for DJs with the now ubiquitous Bluetooth speaker setups. This product also has USB-connectivity, so you can use this to transfer your vinyl catalog to digital without much effort. While I ran into some issues getting the belt positioned on the motor spindle during assembly, it was overall a relatively straightforward experience to get the product running during my tests. The Pioneer DJ PLX-500-K is one of the more versatile products in this guide because it is an option that works well for neophyte DJs as well as old pros. One of the reasons for this is that the product doesn’t take much to set up, so new vinyl enthusiasts will have a very minimal bar to entry in the DJing world. This is a direct drive DJ turntable, so if you’re planning on cutting, cuing, or mixing, then this may be the go-to for your needs. With this design, you may have a little bit of motor noise carryover, but during my tests, this wasn’t much of an issue with the PLX-500-K. There’s an easy to find 33 and 45 button, and if you press the two buttons together, you’ll be able to play 78s, which is where I did notice a bit of motor noise. This is a reasonably durable turntable, and it felt very stable when I was testing it out on my DJ table, although Pioneer almost entirely made it of plastic components. The product also has a USB record output setting, which means that you’ll be able to convert your vinyls to digital music with the PLX-500-K with ease. At first glance, you might think that the Pyle PLTTB1 is a direct-driven product, but in fact, this turntable uses a belt drive to provide a more silent spin. I loved the weightiness of the tonearm, and it seems like this product is much less susceptible to random jumps and sound interruptions. This is also a product that includes a USB port so that you can transfer your analog vinyl records to newer digital formats. Pyle has even included software that will allow you to both transfer and edit your songs with relative ease. With this product, you’ll be able to spin at both 33 1/3 and 45 RPM settings, which means 78 collectors may want to purchase another vinyl playback option. 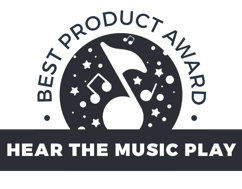 This product has a phono preamp and also uses standard stereo connectors, so you’ll undoubtedly have coverage when you’re playing your music. I also loved the fact that the tonearm has an anti-skating mechanism, which means that you’ll experience fewer jumps during playback. As a DJ, you are going to need a turntable that you can use to remix tracks, but since there are a number of options available today, finding the right model can be difficult. Do you want a vintage model or something that is more aligned with the digital world of today? Hopefully, the research and the effort that I put into finding the best turntables on the market has helped you to find one that fits your needs as a DJ. All of the turntables that we have reviewed are great options to consider, which one will work best for you?